Swimming Home by Deborah Levy is published by And Other Stories, an independent press which aims to publish just a small, select range of literary fiction each year. I received my copy as a freebie from The Guardian after they featured one of my reader reviews in their weekly round-up, and if I hadn’t, I might have overlooked this book entirely. Ostensibly about two families whose holiday in the South of France is interrupted by the arrival of frail, unstable stranger Kitty Finch, it’s a book that you might easily imagine to be a fairly standard spoilt-middle-classes abroad type narrative; however, it rapidly becomes much more than this, and makes for a fascinating, unnerving read in which innocuous words, actions and objects acquire sinister significances. 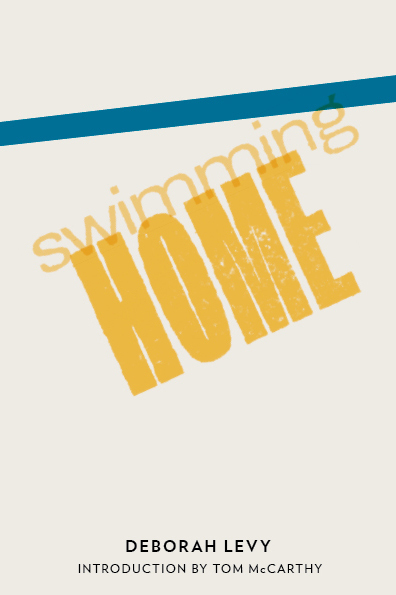 Swimming Home opens with two couples, Joe and Isabel and Laura and Mitchell, plus Joe and Isabel’s teenage daughter Nina, discovering a naked young woman swimming in the pool at the villa they’ve hired for the summer. The intruder is Kitty Finch, who claims there has been a mix-up over booking dates and that all the hotels nearby are full. Against the wishes of the rest of the group, Isabel suggests that Kitty can stay. Given that Kitty is a complete stranger and very obviously rather unstable, this seems to be an inexplicable offer. Why does Isabel invite the fragile, attention-grabbing Kitty and her multitude of disturbing behaviours into their summer home? As the novel unfolds (rapidly – it’s a short read) it becomes clear that Isabel may have an ulterior motive for encouraging Kitty to stay, and that Kitty herself may be more calculating and manipulative than her eccentric behaviour suggests. Like an erratic, dangerous cuckoo in a smug middle-class nest feathered with moments of borderline surrealism, Kitty isn’t necessarily the vague drifter she initially appears to be: in fact, when she reveals that she is unnaturally obsessed with poet Joe and his work, it becomes apparent that she is far more focused, and a great deal more manipulative, than she first seems. Both the dialogue and the actions of the characters often jar in Swimming Home, requiring some suspension of disbelief; I often found it hard to believe most of the characters as ‘real’ people. But this doesn't matter: rather than detracting from the narrative, it adds to the atmosphere of it. To me, the novel has the feel of an unsettling dream, in which people don’t quite behave as you would expect them to, in which reactions are unexpected, and in which things feel awkward, wrong, threatening and sometimes vaguely embarrassing for no good reason; some of the things that hang over this novel and its characters most notably are the very things that have gone unspoken. The characters themselves are deliberately painted as recognisable 'types'. There's ethereal, fragile, excitingly dangerous soul Kitty, tortured bohemian poet Joe, war correspondent and guilt-ridden absent mother Isabel, boorish glutton Mitchell, dreadlocked hippy Jurgen - these characters are almost abstracts, yet at the same time this is a very human novel, and somehow, while the characters are externally archetypal, their inner lives seem touching and real, sometimes heartbreakingly so. When I reviewed Rebecca Hunt’s Mr Chartwell, I said that, as an intermittent depressive myself, I don’t like books about depression. 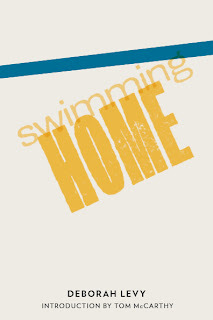 Despite finding much to praise about Swimming Home, which deals with depression in many different ways, I’d say this is still true: it's a fascinating and cleverly-constructed novel, I didn't, ultimately, really enjoy the treatment of the subject on some levels. That doesn't mean it isn't skilfully done, however, and don't let this personal gripe of mine put you off: it's far outweighed by the measured, precise prose, the seamlessly woven recurrent symbolism and the elegantly-structured shift of emphasis towards the end that makes us realise that the main character in this novel was not perhaps the one we imagined. Swimming Home is a thought-provoking, well-executed and brilliantly unsettling piece of contemporary literary fiction, and deserves to be more widely read. I saw the "unreal" elements as crucial to the tone of the novel - hesitate to use the word "dreamlike" - if you read the review hopefully you will see what I mean! Interesting review - thanks for posting! And I agree that the 'unreal' elements are crucial. Thanks. I actually still write all the time. I've been studying creative writing in my spare time with the Open University for the past year and I start the second year of that in September.